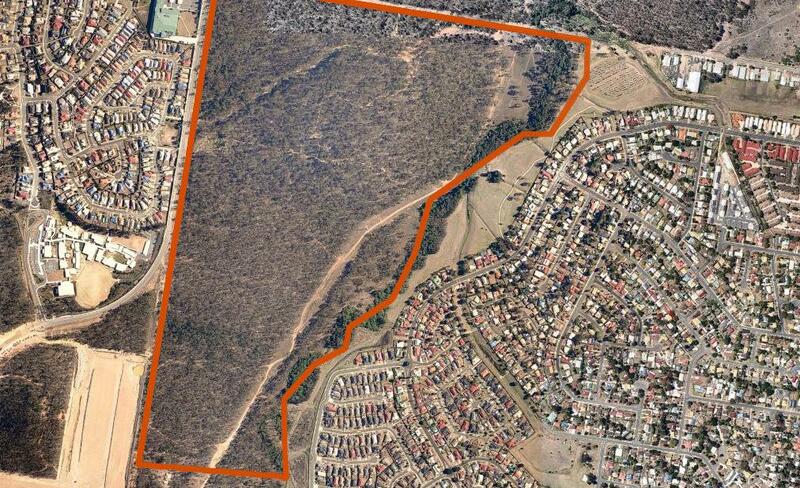 The Village Building Company has gained development approval for a 78 hectare site in Collingwood Park, which it will transform into a masterplanned community featuring approximately 800 homes and a range of community and recreational amenities. Works will commence shortly on the site, which borders Collingwood Drive and Eagle Street, opposite the Woolworths Marketplace. Construction of stage one of the project , called WoodLinks Village, will include the extensive rehabilitation of Goodna Creek and the planting of more than 25,000 trees together with the creation of a pedestrian walkway and cycleway alongside the creek. Ipswich Mayor Paul Pisasale said WoodLinks Village would play a major role in the continued growth of the western corridor over the coming years, by providing much needed new housing to accommodate expected population and employment growth. ”The city’s population is predicted to more than double to 462,000 by 2031. WoodLinks Village will be another important chapter in the development of Queensland’s fastest growing city," Mr Pisasale said. The site for WoodLinks Village was acquired by the Village Building Company in May last year, as part of a strategic expansion program in South East Queensland. The Village Building Company, a non-listed public company established in 1988, has already completed three successful projects in Queensland, including Riverwood Estate in Murrumba Downs, The Sands at Pacific Paradise and Glenwood Estate in Kallangur yielding a total of 1400 allotments. It is also currently developing a 119 residential estate named Abode at Kallangur and a 77 lot project named Acacia Grove located in Beerburrum. In addition, it has recently acquired a site adjacent to the Indooroopilly Shopping Centre where it plans to develop 120 apartments. Village Building Co. Chief Operating Officer Albert Dabas said WoodLinks Village was the company's largest active project in Queensland, which would ultimately become a centrepiece for the Collingwood Park community. "This is our first foray into the South West corridor of Brisbane, which we see as a region with plenty of untapped potential, and we see Collingwood Park as being in the box seat for this growth area," Mr Dabas said. "It's rare to be able to find a broad hectare land parcel with such good connectivity to Ipswich, Brisbane and Gold Coast transport routes, along with immediate pedestrian access to local infrastructure like the shopping centre and the new Woodlinks State School. "We expect that a lot of our buyers will be existing residents from Collingwood Park and surrounding areas looking to buy their first home or upgrade to a brand new property. "More than 30 per cent of the site will be set aside for parks and green spaces, together with a planned pedestrian walkway and cycle path along Goodna Creek. This new pathway will also include a crossing over Goodna Creek to allow residents in the surrounding area to access the Woodlinks Village parks and nearby school and shops. "We will also be seeking approvals to develop a child care centre in the first stage to complement the local primary school. "Mr Dabas said WoodLinks Village would offer a mix of land and housing products to suit a wide variety of purchasers, with sales expected to commence in the middle of the year.